Playa Royale 2407 is a 2 bedroom luxury beachfront condo located in the prestigious Playa Royale development by Paradise Village on the pristine beaches of Nuevo Vallarta. This spacious 138 m2 condo is being sold fully furnished and features two spacious bedrooms, two full baths, a large, fully equipped gourmet kitchen with stainless whirlpool appliances and granite countertops, a generous living and dining area, and an enormous full length balcony. Common areas include two swimming pools, a Jacuzzi, direct beach access with individual palapas and food and beverage service, shuffle board, bocce ball, expansive gardens, and a Paradise Village Social Membership which provides access to the private beach club, the El Tigre Sport and Racquet Club, European spa, and discounts on golf and food at all Paradise Village facilities. 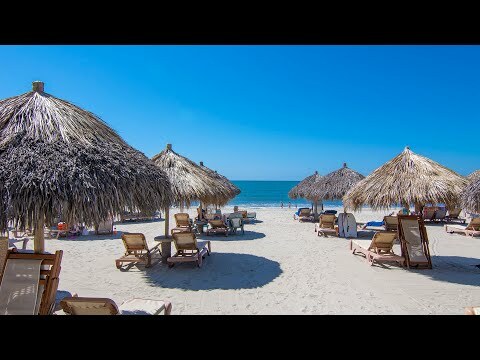 If you are looking for a beach front condo in Nuevo Vallarta, either as a second home, an investment property, or for vacation rentals, Playa Royale is a must see property. Please contact us now for more details and to schedule your visit!